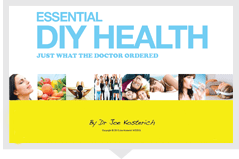 Doctor, speaker, author, media presenter and health industry consultant, Dr Joe Kosterich M.B.B.S (WA) 1985 wants you to be healthy and get the most out of life. He is also Medical Advisor to Medicinal Cannabis Company Little Green Pharma and sits on the board of Australian Tobacco Harm Reduction Association. Through all this he continues to see patients as a GP each week.